You’ll also need Python 3.6 on your machine. My instructions are for Mac OSX, but should be similar if you have a comparable shell. We’ll also need a publicly available endpoint to set as a Twilio webhook. You could deploy this application somewhere, but the easiest way to ‘go public’ is to install ngrok. Once you have your accounts and Python and ngrok installed, you’re ready to get down to coding, running, and testing! Let’s begin by setting up a virtual environment and start installing packages. Start by creating a new project directory and virtual environment. Excellent – now you have an isolated virtual environment running. Everything you install using pip will only affect this local development environment, not your global setup. Before you can respond to incoming phone numbers you’ll need to grab a Twilio phone number. Navigate to the Buy a Number page in the console, check the "SMS" box, and click "Search." Create a ‘Full Access’ key, and name it something funny. Important: copy that key somewhere safe! You only get one chance; if you miss your chance to copy the key you’ll have to create a new one. Excellent work – next we’ll design the email response we’ll be sending. 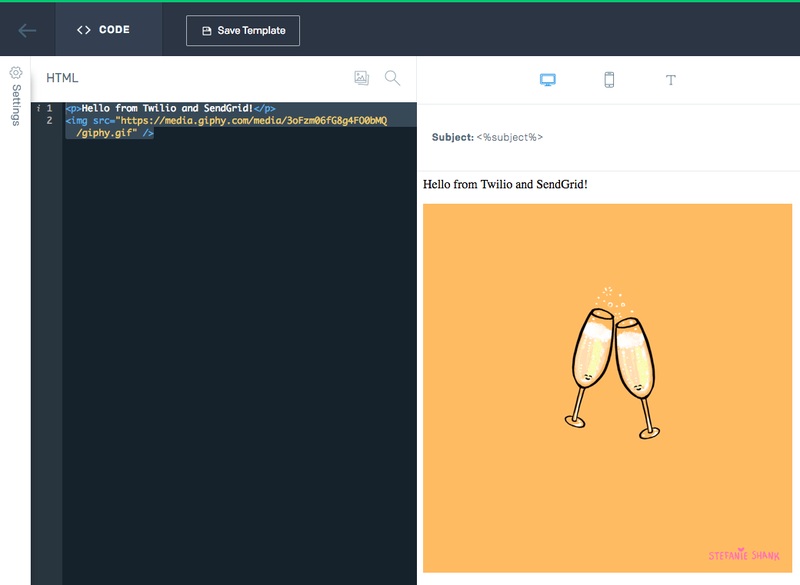 SendGrid’s email template designer makes it simple to edit and preview the emails you’ll be sending with SendGrid. Visit the Template page in your SendGrid console, and if prompted select the ‘Legacy Template’ button. Normally we’d suggest Dynamic Templates, but for simple HTML a legacy template will work. Assign it a special name and save it. Click the white ‘Add Version’ button that appears. Finally, select ‘Code Editor’ from the options that appear. You can write HTML directly in the editor that appears. As you edit, the canvas to the right automatically updates the preview. You can even toggle between views (desktop, mobile, and text) – pretty cool. At this point, hit ‘Save Template’. Select the back arrow button, seen in the upper left hand corner of the above screenshot (left of ‘Code’). You’ll be taken back to the Legacy Transactional Templates page, where you can now see the new version with a random name. Note for later: Getting a blank body running the code? If you saved a version before the current version, you’ll have an active template expecting to pass through a body. It’s simple to fix: click the arrow to the left of ‘Show Inactive Versions’, then under the ‘ACTIONS’ header select ‘Make Active’ for the newest version. Great work! Let’s move on to the code… we’re getting close now. Create a new file twiliosendgrid.py in your project directory. This part’s simple - I’ve written the code you need already. """Send an email and reply to an SMS with Twilio and SendGrid.""" 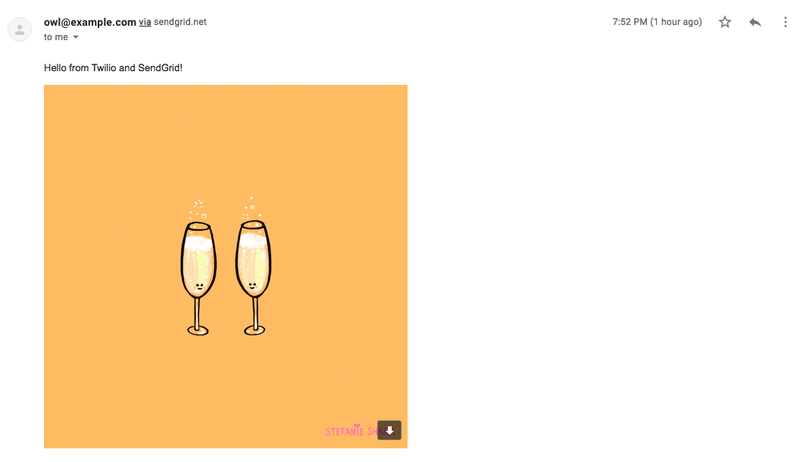 """Send a templated email with SendGrid.""" mail.subject = "Ahoy from Twilio + SendGrid!" """Respond to an incoming SMS.""" "Please provide a valid email address." To prevent, well, API Keys on GitHub, it’s best to use environment variables in sensitive areas of your code. They’re also useful for constantly changing logic which relies on outside functionality. 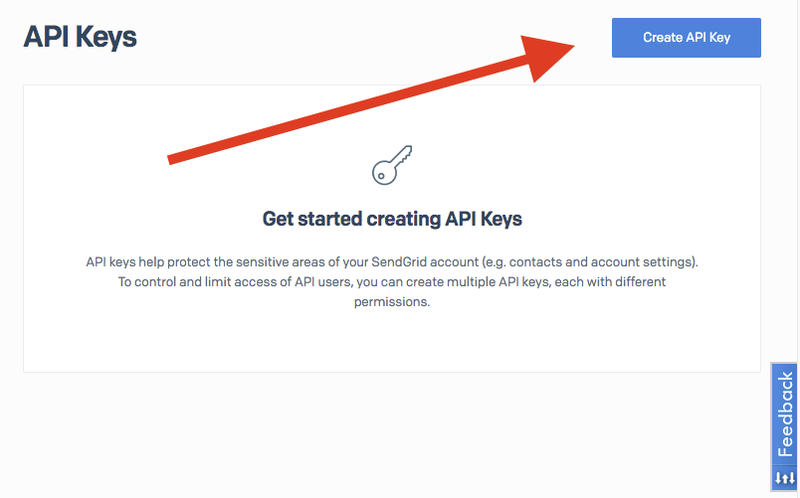 Replace <<SENDGRID_API_KEY>> and <<SENDGRID_TEMPLATE_ID>> with your Sendgrid API Key and Template ID called out in earlier steps. When you run your app, usually your development server is only available locally. To expose it to the broader web you need to deploy it somewhere or mess with firewall settings. Now, open up the Twilio Incoming Numbers page in the console. Select the number you purchased. Hit the red ‘Save’ button. Awesome – now you have a Python app running with Twilio and SendGrid functionality! When you receive an SMS with an email address, you both reply to the SMS and email your clever message (and GIF, of course). I had an awesome experience building this app, and I’m so thrilled to have earned my red Twilio track jacket. I personally hadn’t coded since 8th grade – and yet, with one week and a little help I was able to build something that felt magical. Even before our companies came together today, we were kindred spirits. I’m so proud of what we’ve built with SendGrid and with Twilio. And to think: this is only Day One. I can’t wait to see what we build together. 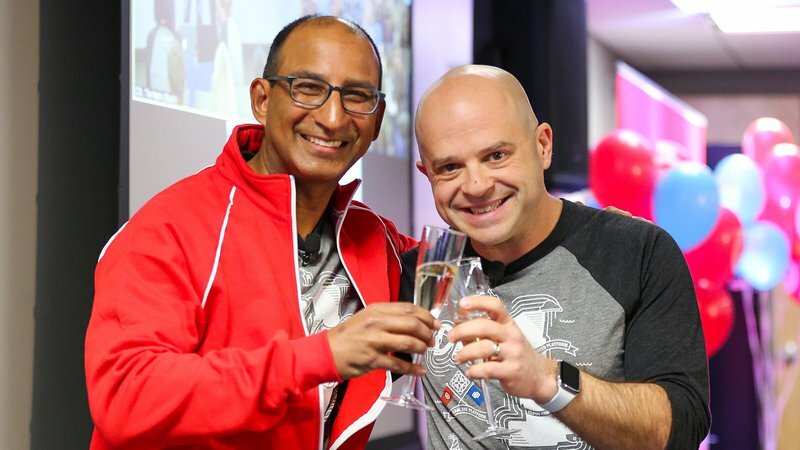 Sameer Dholakia is the CEO of Twilio SendGrid, a wholly owned subsidiary of Twilio. He's responsible for the overall strategy and operations of the Twilio SendGrid business unit. Outside Twilio, he’s at his happiest hanging out with his wife and kids, eating queso, and drinking margaritas. Try the Twilio SMS Quickstarts.